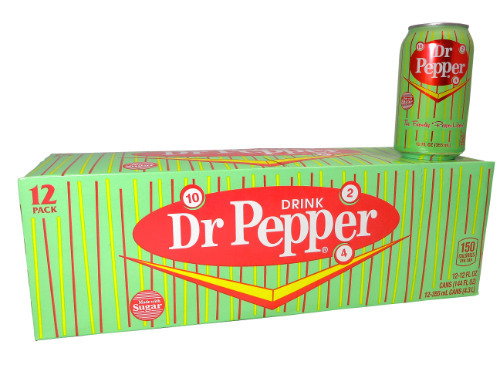 FRESH 12 pack 12oz cans Dr Pepper Green Retro 1960's design with Sugar!! The Friendly Pepper Upper!! And oh so cool! !